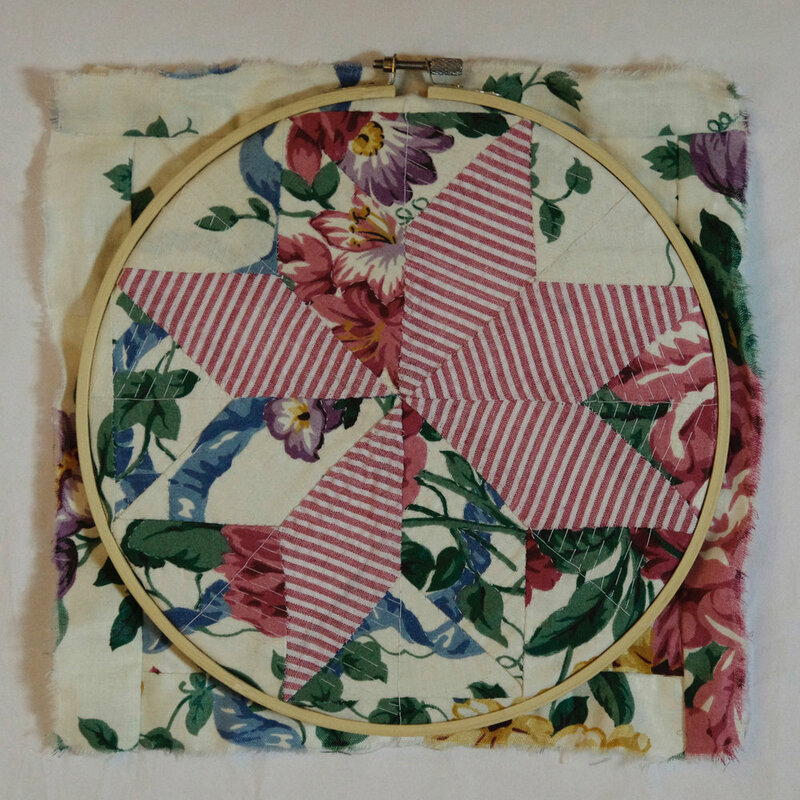 Grandmother/Spider, 2018, hand-pieced & quilted salvaged fabrics stretched on a bamboo embroidery hoop. I’ll end with an anecdote from Annie Dillard: While at Tinker Creek, she observed a bird, a jay or something, that looked like it had been through the mill. Ruffled feathers, some tail feathers missing…it looked like it just narrowly escaped some predator or mishap. “Life catches you by the tail,” she says. If a bird or insect or small mammal survives at all, it survives with scars and missing limbs. I have often seen seven-legged spiders around the farm, and they always remind me of Dillard’s story. They’ve narrowly escaped some bird or had to extract themselves from a landslide of pebbles or some such adventure. I like the seven-legged spider as a symbol and reminder that we’re all carrying around some personal or cultural history. We have to be gentle with ourselves and others. That’s grandmother wisdom.